So over the last few weeks I have been busy with lots of projects. I don't really have any immediate events on the horizon, so that gives me time to just work on whatever I feel like for a change. With the next likely event I attend being in May it isn't really a big reason to make too many plans now as the game can change quite a bit over the next 3 months. I had started this second Helldrake the when I did the first and managed to get both the base coats done at the same time. Then I decided to soldier through the first one and the second one has been waiting to get done. Of course GW since changed paints so a few colors are just a tiny bit different but overall it still looks great. I did another custom base using a few of the resin bases again from Iron Halo miniautres and it came out pretty well. There are a few things I didn't like with my Green Stuff work as usual but it still is a pretty cool base. And next to the first one, which came out a bit cleaner I suppose. So now I have two hell turkeys to terrorize the sky and give my 1ksons a fighting chance! 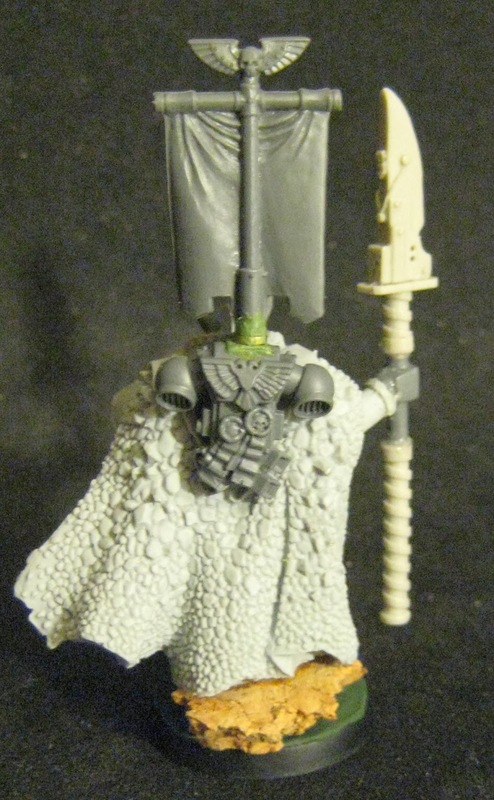 For my 1ksons I also wanted to kit bash a Huron model together. I think in low point levels like 1500 he's a decent HQ and I want to try out a few lists with him. I picked up some 3rd party bits, a Huron, and used some other bits out of my box to mash this guy together. I need to clean up more of the Greenstuff once it is all dried up but I think he looks pretty neat. 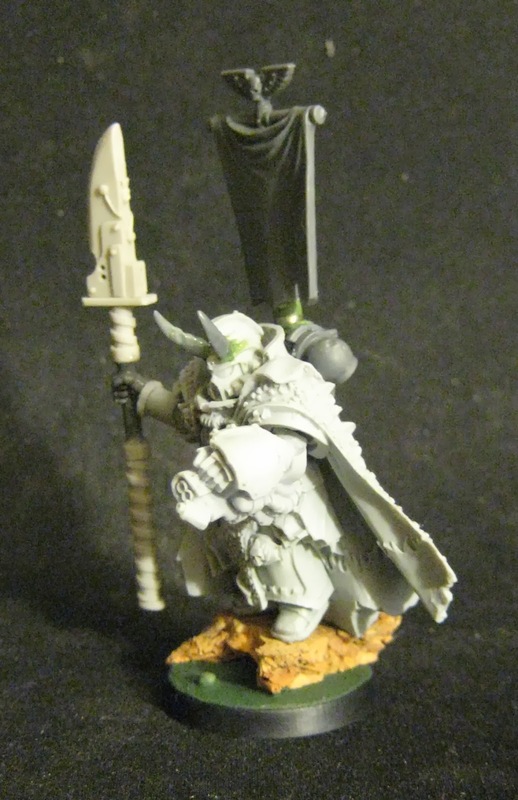 I look forward to painting him up and seeing how he looks done. He looks junky right now with the various colored bits! I continue to work on my Black Dragons project too. 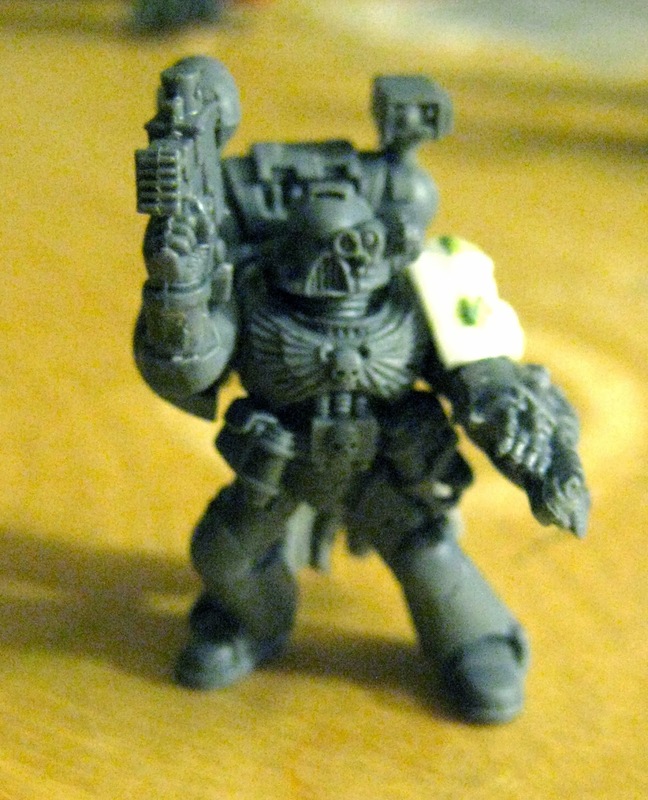 At this point I've converted all the basic tactical marines (60) minus the MM guys. 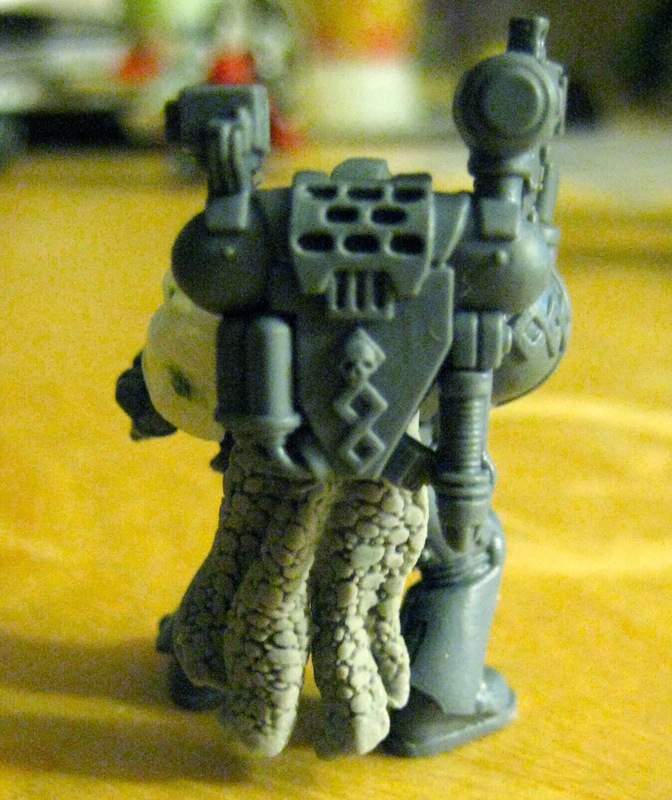 I need to order some arms so I can pop off the left arms and do them over with the resin shoulders. Then I can add the other bits. Still that's a lot of marines! I also moved on to the command squad. I used some of those 3rd party bits, the command squad kit, and a sterngaurd kit to make these guys. You can see the drake cloaks on the back. They took a little work but I think they'll be a nice touch. I am not sure how I'll paint them but I'm thinking basically black and then a gloss coat on them to make them look very reptilian. 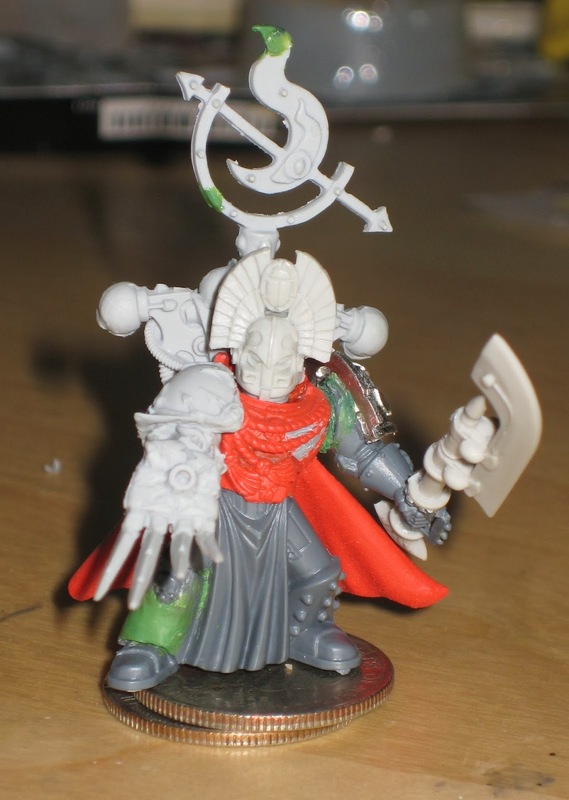 The apothecary I magnetized the arms. For events the Frontline guys run I can add another Grav gun to him per their Faq. There are times I might want to use him as FW Shen Apoth too so that gives me options. Then there is the man himself, Vulcan. 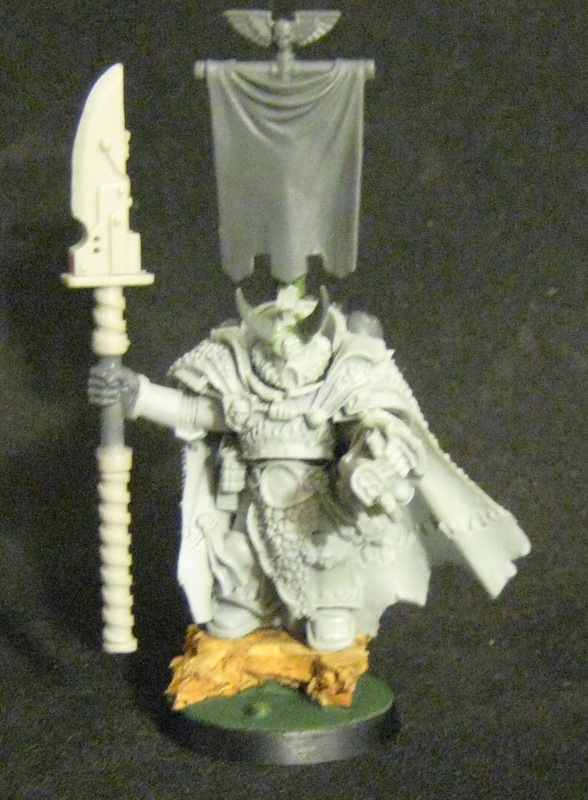 I really never like the way he held the spear so again I used a 3rd party bit. 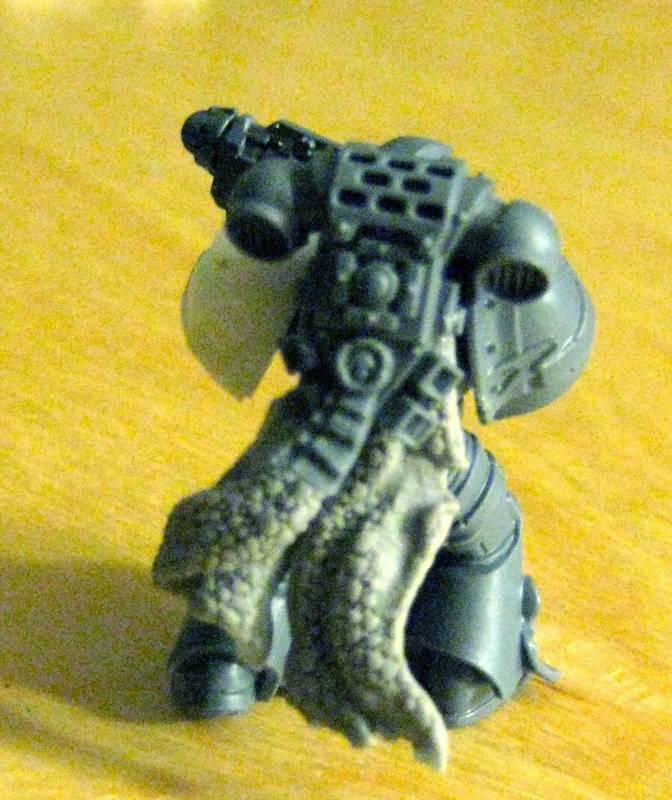 I shaved off all the other Salamander icons and am going to try to use decal transfers for Black Dragon iconography. I'm going to try to free paint the banner which is currently magnetized so we'll see if that turns out to be a disastor or what exactly! So as far as modeling is concerned I am ready to move on to the assault squad. I've decided to try my hand again at some green stuff for a chest piece. It is still pretty disappointing but I guess I'm getting better. I'll wait a day or two for this to dry and then make a mold and see how it comes out before I commit one way or another. Either way I figure I'll be wrapping these guys up in the next few weeks, and I do look forward to getting some painting going on them as well! I imagine this army is still going to take months to do, but I'd like to get them done for an event later in the year if possible! I've also got my bases for the LVO Tau so I can finish converting those over and getting them all uniform. I also picked up another set of windrunner jetbikes so I'd like to get those built and knocked out just so that army is DONE and can be used for any events if I so choose to do so.